In its research capacity, the commission proposes new policies in the interest of efficient and cost-effective dispute resolution and provides useful tools for the conduct of dispute resolution. Often carrying out specific work in smaller task forces, under the mandate of the commission chair, it also produces practical reports and guidelines on legal, procedural and practical aspects of dispute resolution, which are published regularly in free booklets and electronic format, in the ICC Bulletin or on the ICC website. Task Force members are also appointed by national committees and are usually chaired by two members who guide the form and substance of the work. Task Force missions include the study of an aspect of arbitration or sector where it is used, resulting in recommendations, guidance and/or a standard arbitration clause for such disputes. 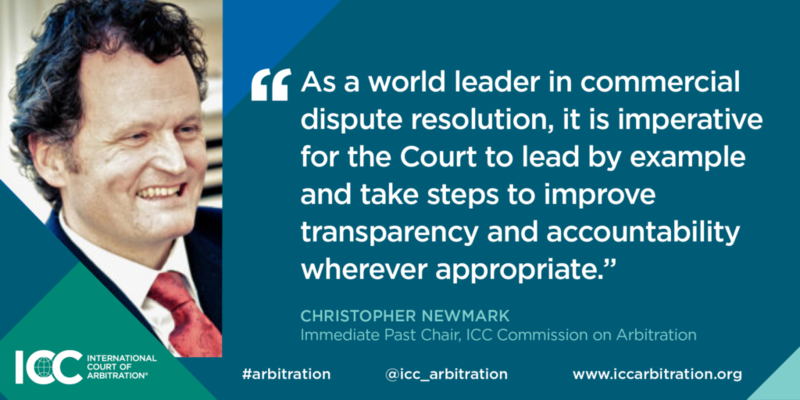 A commission steering committee, comprising the Chair and the Vice-Chair along with other representatives of ICC Dispute Resolution Services, also meets twice a year to discuss and agree upon the overall action plan for the commission, including the proposal of task forces. 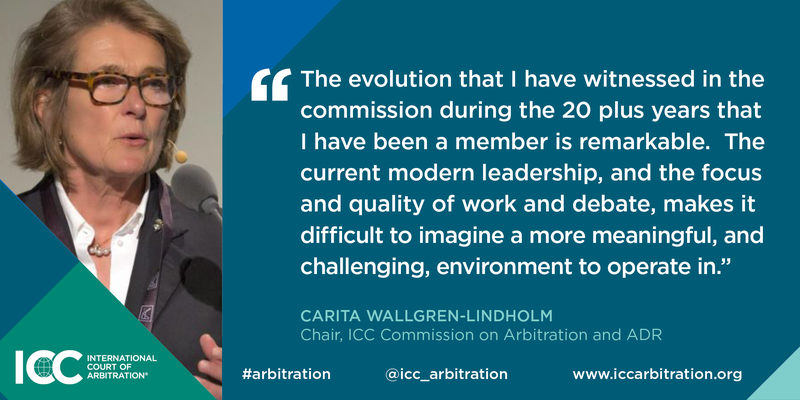 The Report of the ICC Commission on Arbitration and ADR on Emergency Arbitrator Proceedings analyses all aspects, including procedural and substantive issues that may arise in emergency arbitrator ("EA") proceedings, in order to identify and examine any emerging trends and to facilitate the use of EA proceedings through increased transparency and predictability. The Report of the ICC Commission on Arbitration and ADR on Construction Industry Arbitrations: Recommended Tools and Techniques for Effective Management is a 2019 update of the Final Report on Construction Industry Arbitrations. 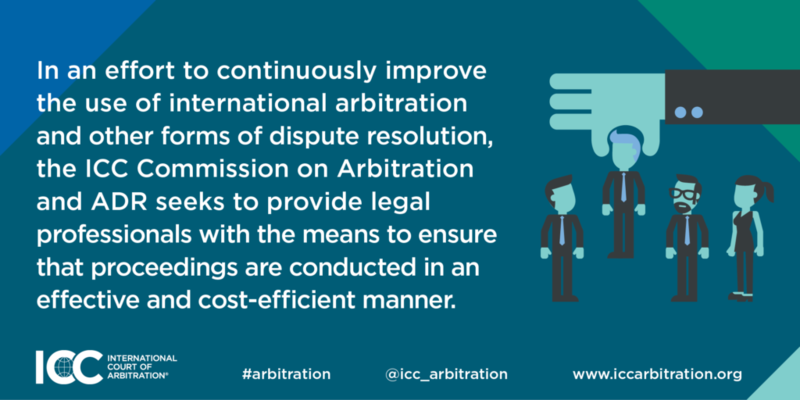 This publication is the Supplementary Materials to the ICC Commission on Arbitration and ADR Report on Financial Institutions and International Arbitration issued by the ICC Task Force on Financial Institution and International Arbitration.